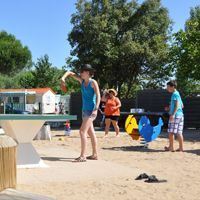 A dynamic campsite with a games area, fitness and boules! 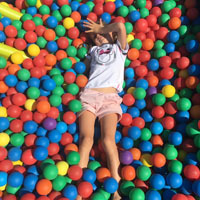 Now you’ve had a nice swim, it’s time to see what other services and entertainment the campsite has to offer. To stay in shape during the holiday, test the new open-air fitness equipment. Set aside 30 minutes and get your day off to a great start with our brand-new equipment. For all fans of boules, there are plenty of gravelled paths all over the campsite. There’s something new for fans of pétanque: two boules pitches have been laid out for the conclusion of the weekly tournaments on pitches that are worthy of a final!